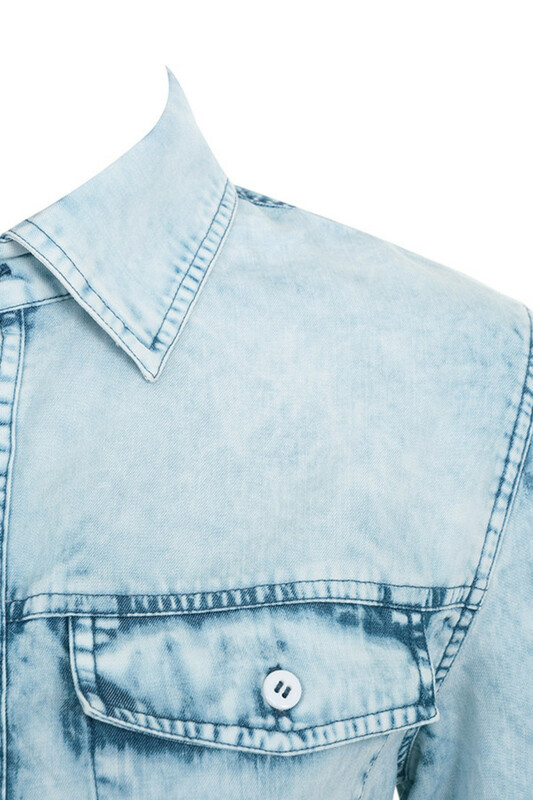 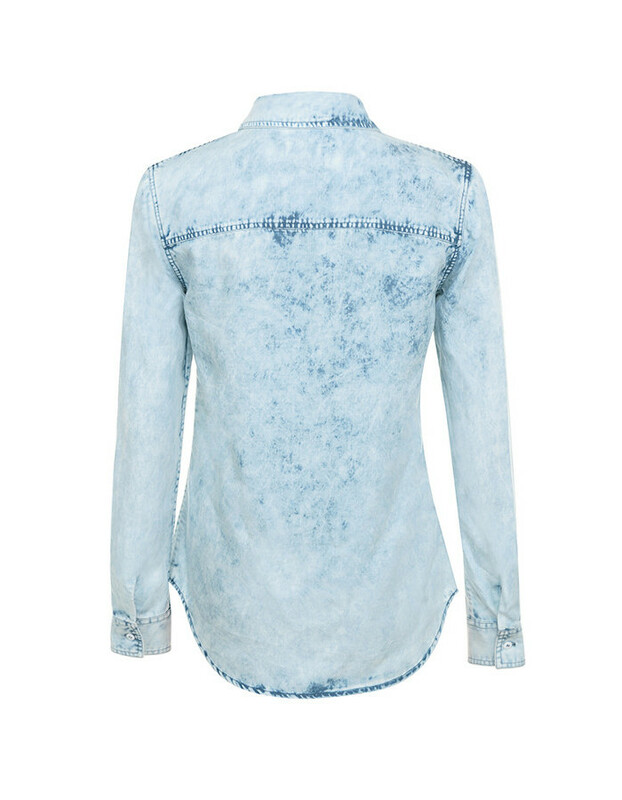 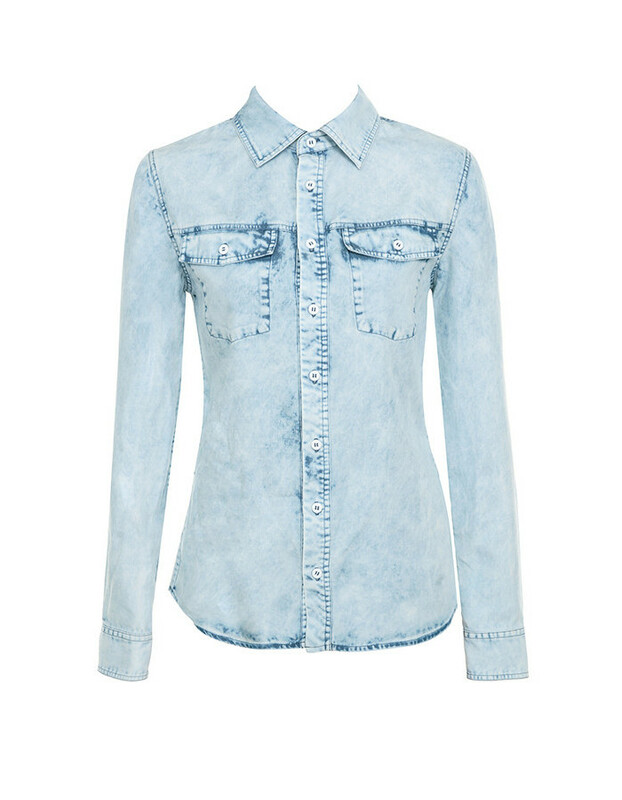 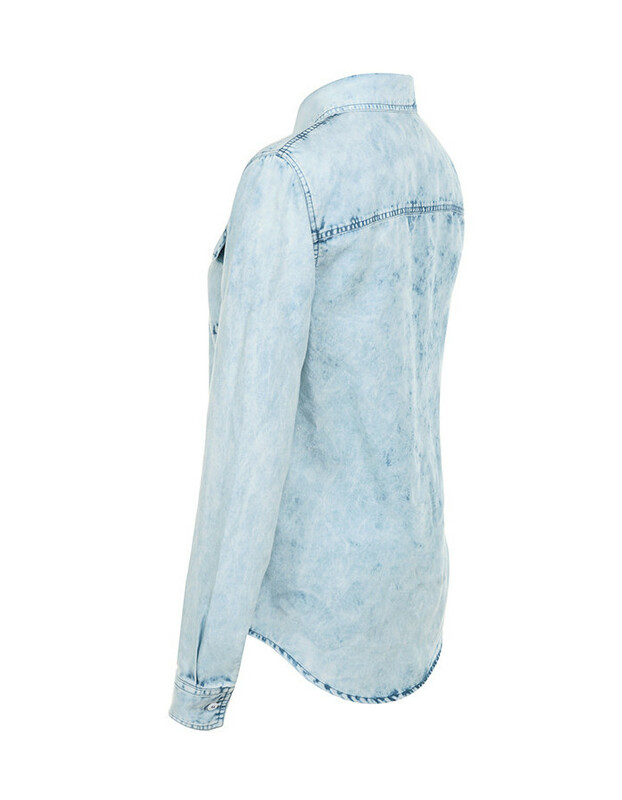 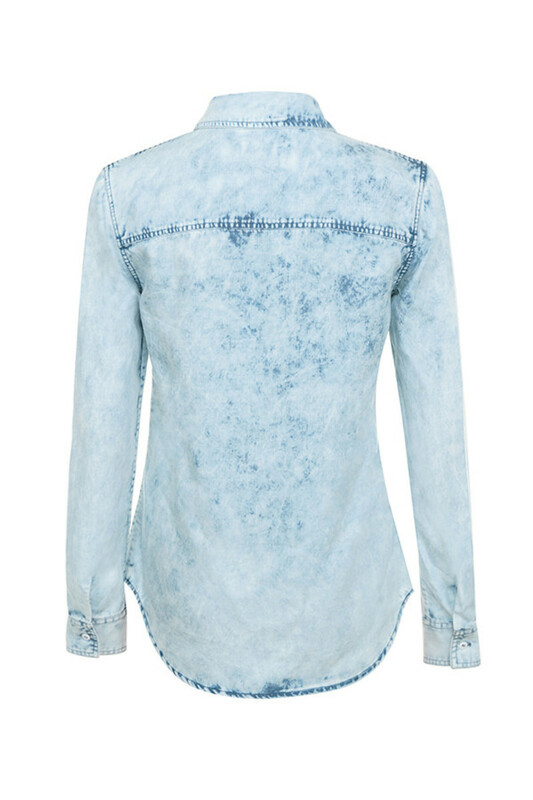 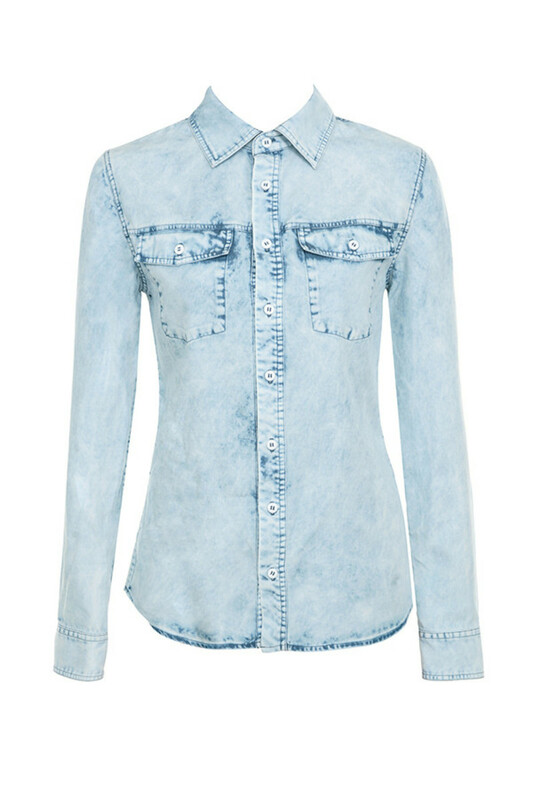 This incredible denim shirt is made from the softest lightweight chambray denim with a beautiful ice wash to give you the lightest icy pastel tone. 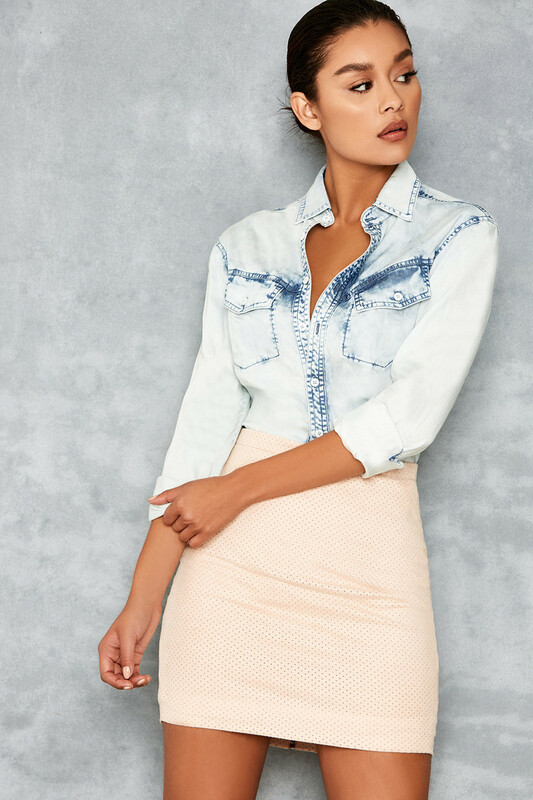 The fitted shape is super flattering and the shirt has long sleeves and 2 breast pockets. 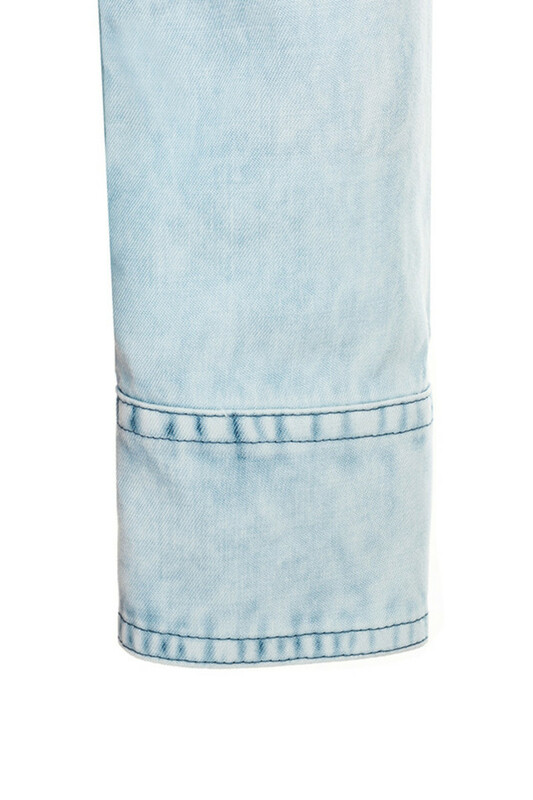 Style your look with a tonal pastel skirt. 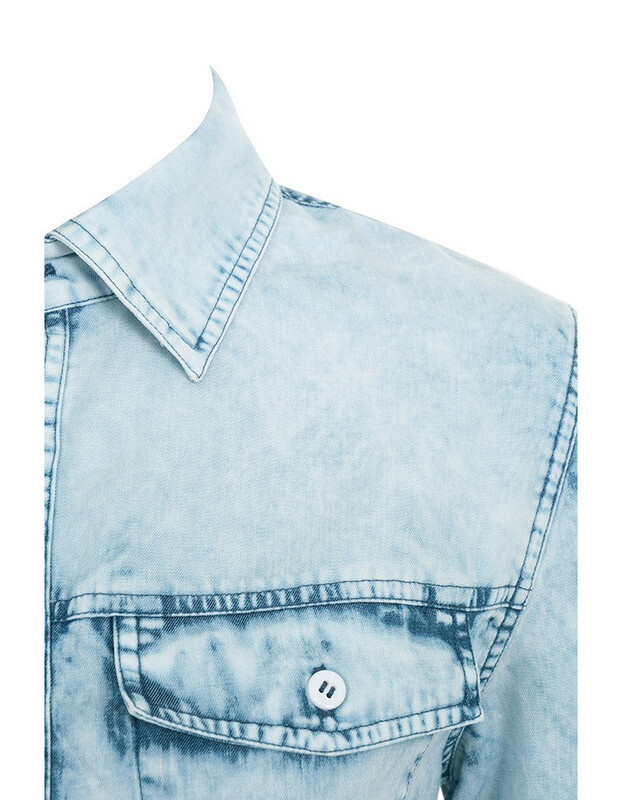 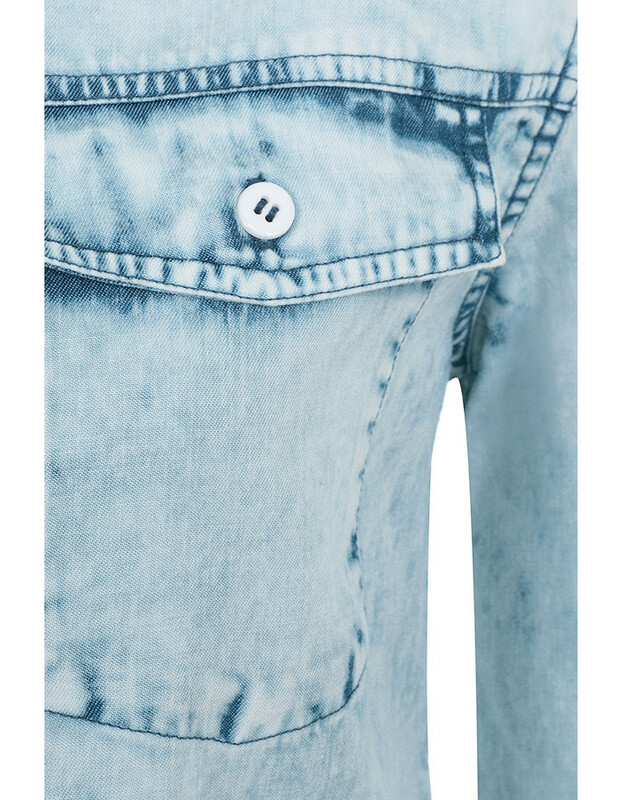 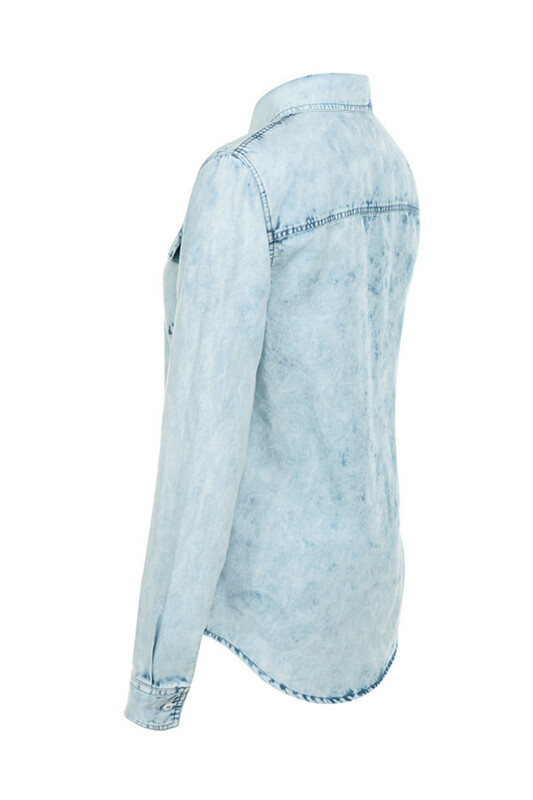 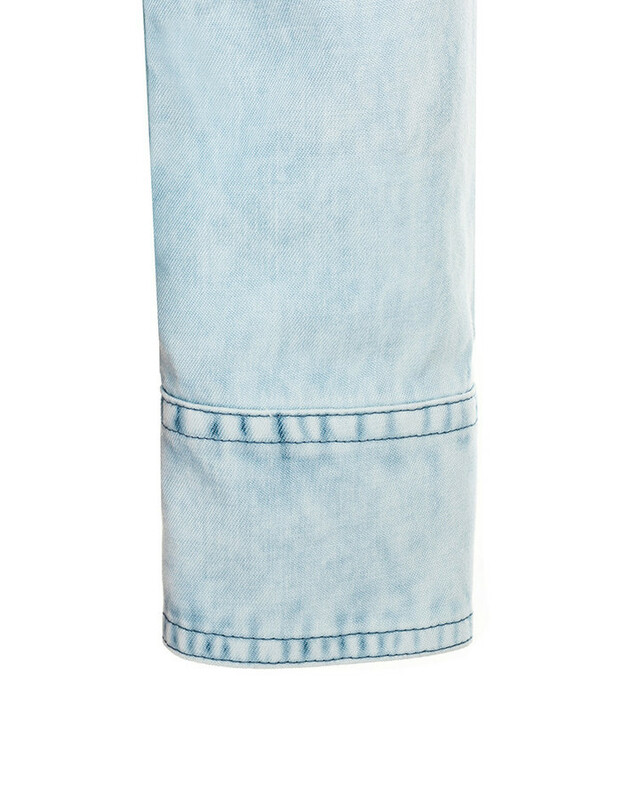 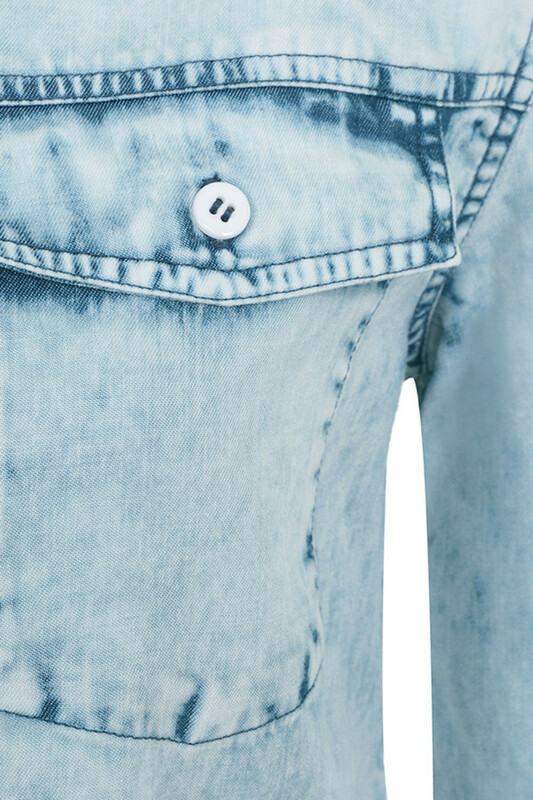 Made from stretch chambray denim.